Karl Frederick Anderson believes that the maltreatment and abuses suffered by Filipina household workers in the Middle East will not stop unless the Philippine government will step sending HSWs in the region. 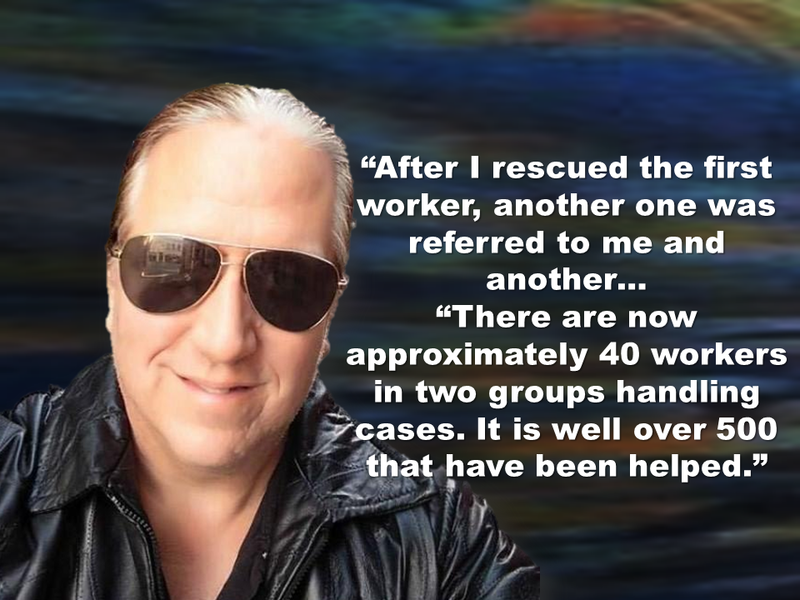 Anderson is an American running a record label in the US and had been helping abused Filipina domestic workers for four years. His personal mission started when a Filipina he knew personally experienced abused while working in the Middle East. He helped this household worker and another after her and it still goes on. For his mission, Anderson set up the Facebook page “Filipino Domestic Worker Abuse in Saudi Arabia,” which aims to "create awareness of a serious problem of abuse and human trafficking of Filipino workers in Saudi Arabia and offer contacts to those who are being abused." Anderson also said that slapping and spitting on the worker is common, based on the cases they have handled. He had also encountered cases of non-payment of wages. In some instances, the sponsors are withholding their salaries nd wont let them go home in spite of their finished contract. Such situations force the household workers to escape form their employers. Anderson lauded the Philippine Overseas Labor Office (POLO) for handling the cases well and doing their duties in assisting abused Filipino workers in Saudi Arabia. However, helping the abused HSWs will not prevent more HSWs from being abused. As long as the government is still sending HSWs, the story of abused and maltreatment will just go on and on. 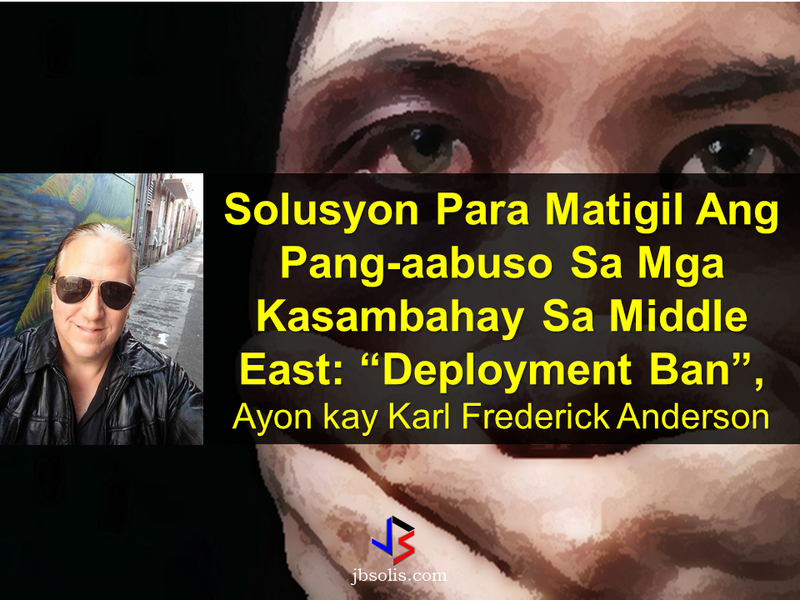 The bast way to stop this is to ban the deployment of Filipino HSWs in the Middle East, particularly in Saudi Arabia.